Topology–the study of shapes–seems to be all the rage. You could even say that data has shape, and shape matters. Shapes are comfortable and familiar concepts, so it is intriguing to see that many applications are being recast to use topology. For instance, looking for weather and climate patterns. Interestingly, a key motivation for looking to topology is explainability (interpretability). One might say that, for many, the honeymoon period with “AI” (Artificial Intelligence, including machine learning) is over. Now, we hear talk of “XAI” (Explainable Artificial Intelligence). 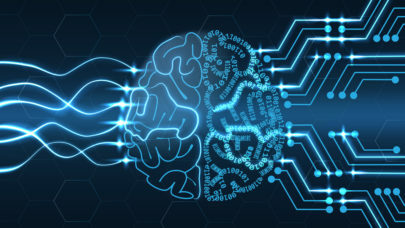 Goals for XAI expressed by researchers at DARPA (Defense Advanced Research Projects Agency) are to  produce more explainable models, while maintaining a high level of learning performance (prediction accuracy), and  enable human users to understand, appropriately trust, and effectively manage the emerging generation of artificially intelligent partners. A goal of XAI is to enable human users to understand, appropriately trust, and effectively manage the emerging generation of artificially intelligent partners. An XAI research area for this is called topological data analysis, and it offers us the opportunity to relate results of data analysis in terms of shapes. Thanks to high-performance computing, weather predictions have become both more accurate and more precise (localized) in recent years. While this is true for most weather, it is far less the case for extreme weather events. It turns out that the extreme weather, such as thunderstorms, blizzards, heavy rains, dry spells, and hurricanes, are more challenging to forecast than more ordinary weather. The immediate and tangible benefits of better forecasting of extreme weather better are obvious. Additionally, there are longer-term trends to consider as well. In this vein, puzzling over the apparent supercharging of extreme weather events due to human activity is one of the youngest and most important branches of climate science. Scientists speak distinctly of weather forecasts vs. climate forecasts. Today, the two types of modeling and forecasting use different mathematical modeling and computer programming. The fundamental reason for differences stem from the fact that computer resources are not unlimited in scope and speed. If we had infinitely fast computers at our command, the models for weather and climate would converge. As it is, we are very far from that, and thus weather and climate modeling are very different beasts in practice. Despite the differences in weather and climate modeling, techniques such as using topological data analysis will find a place in both weather and climate forecasting. The concept of weather versus climate can be thought of this way: a weather forecast seeks to help us understand if it will rain on Thursday, while a climate forecast seeks to help us understand if a drought will continue for the next decade. A weather forecast for a hurricane in Central Florida should help us deploy emergency workers now, while a climate forecast for years of drought could guide planning for water rationing programs, longer-term investments in locating more sources, or reducing demand. It is not unusual for climate models to be run on supercomputers only when the computer is not being used for the first priority, which is weather forecasting. This makes sense when you consider there is no immediate risk if a climate computation takes a bit longer to run, but the timeliness of a weather forecast can be critical. Researchers at the University of Liverpool, working with researchers at Lawrence Berkeley National Laboratory, are exploring the use of topological data analysis for detecting and classifying patterns (shapes) in climate data. Given this “shape” thinking, it is not surprising that atmospheric rivers can have very different widths and lengths, but they have connectivity like a river and holes like small islands in the path of a river. We know from shapes the differences between a river and a string of unconnected lakes. Atmospheric rivers play a key role in water movement, with a strong atmospheric river having a flow seven to 15 times that of the flow at the mouth of the Mississippi River. Using topological analysis, atmospheric rivers can be identified and separated from events in the atmosphere that do not have the correct shape of an atmospheric river. Atmospheric rivers that contain the largest amounts of water vapor and the strongest winds can lead to extreme rainfall and floods when they stall over watersheds vulnerable to flooding. Such events can disrupt travel, induce mudslides, and lead to catastrophic damage to life and property. Not all atmospheric rivers cause damage, the majority are simply responsible for the rain or snow that animals and plants depend upon for life. Wet weather for Seattle: An Atmosphere River commonly called the Pineapple Express is easy to see in this image. No Atmosphere Rivers in this image. Shape tell the story: The familiar shape of a “river” jumps out in the first image, and is absent in the second image. It seems intuitive that the image with an apparent river will result in a lot of rainfall in the U.S. Pacific Northwest. The first image shows an atmospheric river (AR), this particular one is commonly called the “Pineapple Express” which is characterized by a strong flow of the moisture associated with the heavy precipitation originating from the close waters to the Hawaiian Islands. The second image is an example of a non-atmospheric river that does not form a narrow corridor of high concentrated atmospheric moisture in the atmosphere reaching the Pacific coast of North America. Both images are courtesy of [email protected] — they come from an integrated water vapor (IWV, kg/m^2) product of the version 5.1 of the Community Atmosphere Model (CAM 5.1) simulated at the National Energy Research Scientific Computing Center (NERSC), Lawrence Berkeley Lab, CA, USA. The researchers combined ideas from topological data analysis with machine learning for detecting, classifying and characterizing extreme weather events, such as certain atmospheric rivers. While these researchers were developing their techniques to analyze climate model output, it will have applicability to weather model output as well. They have successfully demonstrated this approach on the Cori supercomputer. Cori, one of the world’s dozen most powerful supercomputers, with high performance Intel multicore processors, is operated by the National Energy Research Scientific Computing Center (NERSC). Researchers have published results showing that their accuracy (up to 90%) is higher than any prior published results for detection and classification of atmospheric rivers. They applied their algorithm to climate models, using data spanning nearly four decades of weather data, including four different spatial resolutions and two different temporal resolutions. Computing on up to 480 high-performance Intel Xeon (Haswell) processor cores, their typical run times for the analysis was on the order of 10 minutes for the topological analysis followed by a few hours for the classification algorithm. Their implementation used C++ code for the topological data analysis, and Python scikit-learn for the machine learning classification algorithm known as SVM (Support Vector Machine). For the SVM, good scaling was achieved because the Intel Data Analytics Acceleration Library (DAAL) was installed to accelerate Python. We all have a vested interest in seeing climate and weather models improve, and this is especially true for extreme weather which can literally be a matter of life or death. This particular work shows that thinking in terms of shapes via topological data analysis, combined with machine learning, may provide a uniquely powerful approach for identification and analysis of extreme weather. Aside from providing a more accurate method, the use of topological data analysis might lead to better interpretability of the predictions. Whether we are considering deploying a thousand emergency workers now, or considering a multi-billion-dollar infrastructure investment, we would like to be able to get explanations from those responsible for the forecast motivating our potential actions. Humans ultimately need to be able to defend their predictions, even if they come from “artificially intelligent partners” (AI programs). Topological data analysis offers to help scientists with this challenge, and do so in the familiar language of shapes. Machine Learning and Topological Data Analysis: Application to Pattern Classification in Fluid and Climate Simulations, by Vitaliy Kurlin and Grzegorz Muszynski from the University of Liverpool, plus Michael Wehner, Karthik Kashinath, and Prabhat from Lawrence Berkeley National Laboratory, presented at the Big Data Summit. Number 10 on the TOP500.org when the work was done, now #12 as of the November 2018 list.